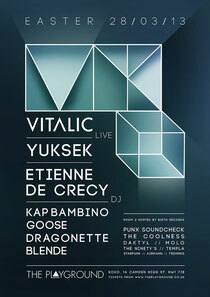 The Playground hits KOKO in London on Easter Thursday March 28 with Vitalic as the headliner. 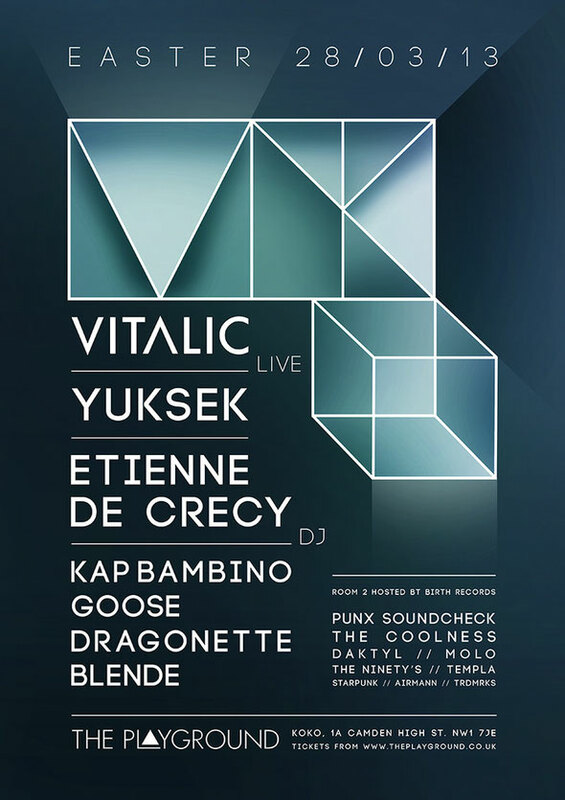 Pascal Arbez, better known by his stage name Vitalic, is a French electronic artist, songwriter and remixer who to date has released three studio albums – his debut ‘OK Cowboy’, ‘Flashmob’ and the most recent, ‘Rave Age,’ which was released on November 5 last year. With French electro the main ingredient of the night, support comes from Yuksek, Etienne De Crecy, Kap Bambino, Goose, Dragonette and Blende. Etienne De Crecy, also known as Superdiscount, was born in Lyon, France and attended the same Jules Ferry college as Air and Alex Gopher, with whom he later created the Solid label. Kap Bambino - Caroline Martial and Orion Bouvier - are known for their live shows with Caroline’s wild vocals and Orion’s electronic metal mixes. They’ve toured throughout Europe and Japan, playing along-side These New Puritans, Late Of The Pier and Patric Catani. For full line-up and ticket info, click HERE.